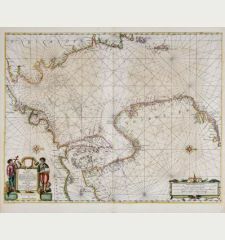 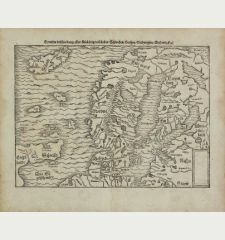 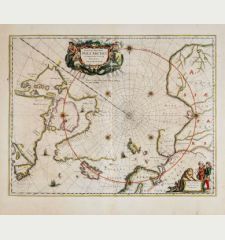 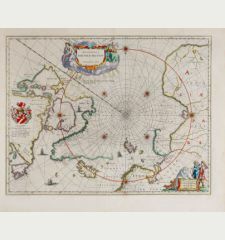 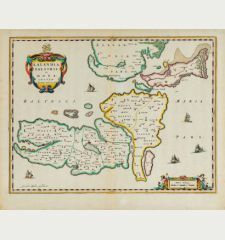 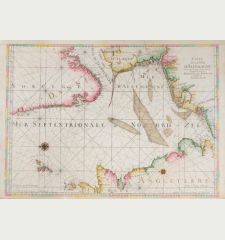 Early copper engraved map of Scandinavia with Greenland by G. Ruscelli from his Geografia di Claudio Tolomeo La Alessandrino. 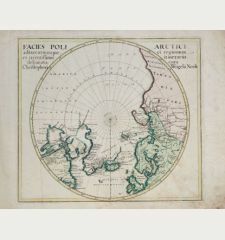 Greenland is separated from Norway by a narrow channel, Iceland is depicted as a long, thin island called Thyle. 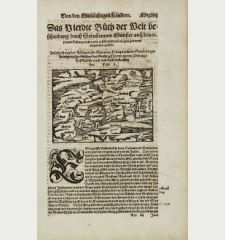 First edition of the copper plate which has been used between 1561 and 1564. 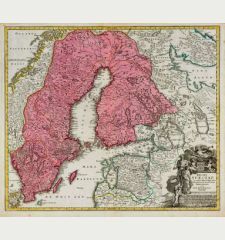 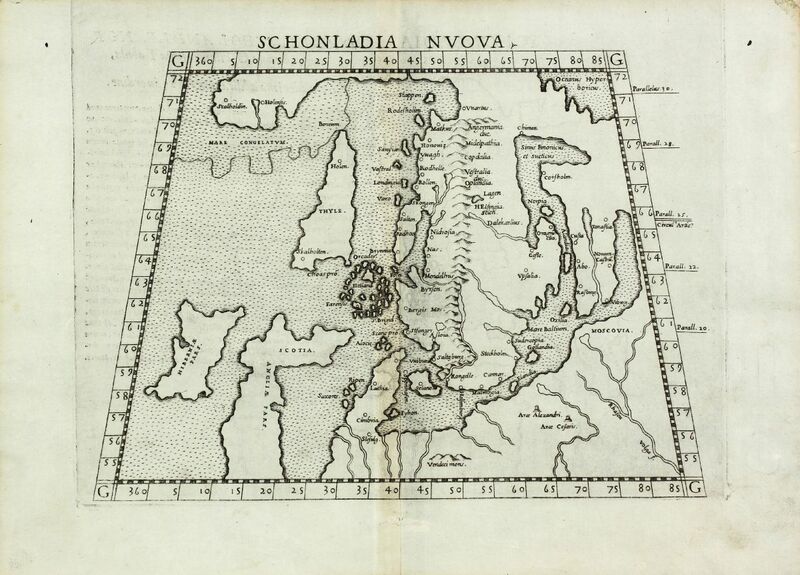 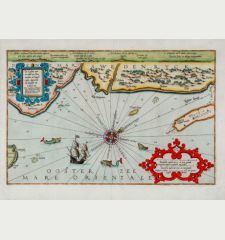 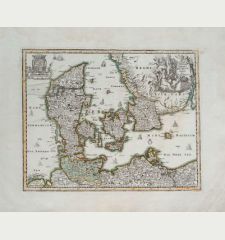 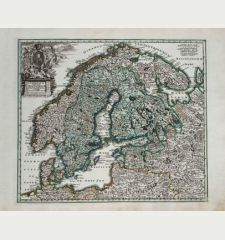 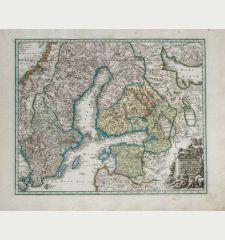 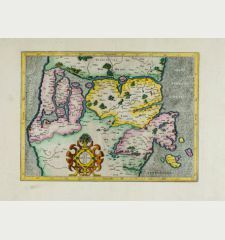 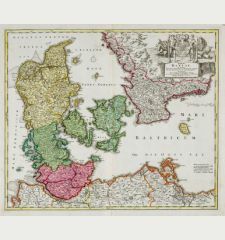 One of the earliest obtainable 'modern' maps of Scandinavia. 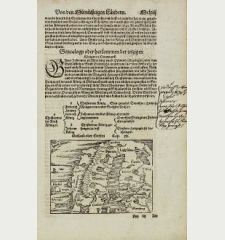 Latin text on verso.